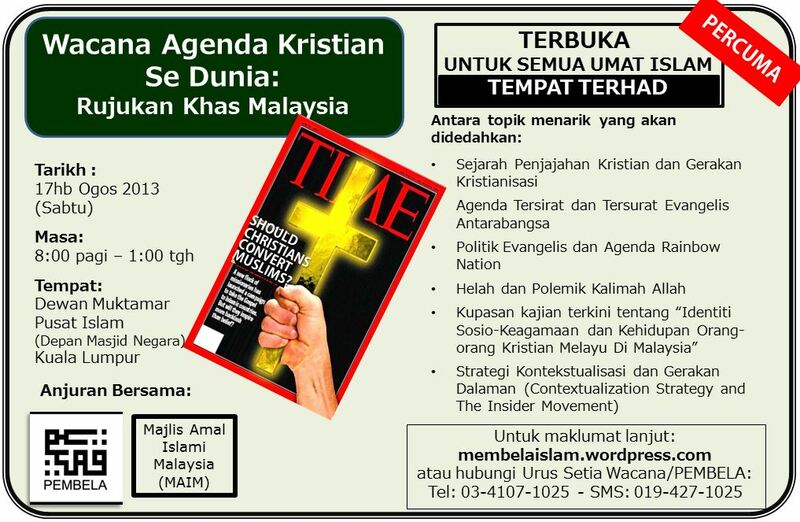 June 13, 2014 in anti-Islam, Hina Islam, Interfaith Council (IFC), kenyataan media, Rights of Muslims, rights-of-malays. June 13, 2014 in Interfaith Council (IFC), Islam liberal, Rights of Muslims, rights-of-malays. June 13, 2014 in anti-Islam, Constitution, Interfaith Council (IFC), Islam liberal, Rights of Muslims. May 11, 2012 in ajaran sesat, Hina Islam, Interfaith Council (IFC). April 3, 2012 in Interfaith Council (IFC). October 14, 2011 in Article 11, Hina Islam, Interfaith Council (IFC), Rights of Muslims. August 6, 2011 in Article 11, Constitution, Hina Islam, Interfaith Council (IFC).